© 2002, © 2017 by Paul Freeman. Revised 5/25/17. 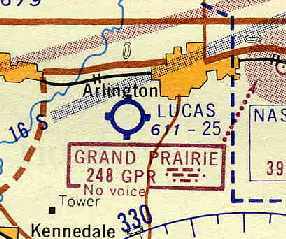 Midwest Airport, as depicted on the February 1943 Dallas Sectional Chart. as it was not yet depicted on the August 1941 Dallas Sectional Chart. which depicted Midwest as a commercial/municipal airport. was a 10/15/43 aerial view looking north from the 1945 AAF Airfield Directory (courtesy of Scott Murdock). It depicted Midwest as having 3 unpaved runways. within which were 3 dirt runways, the longest being the 2,050' east/west strip. The field was said to have 3 hangars, the largest being a 90' x45' metal structure. Midwest was said to be owned & operated by private interests. along with 2 grass runways & 21 light aircraft (including at least one glider). 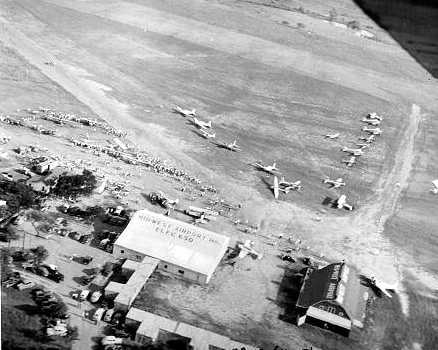 A circa 1940s photo of 7 taildraggers at Midwest Airport (courtesy of Gary Bradfield). 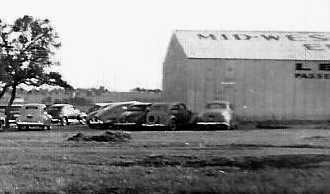 A circa 1940s photo of a hangar at Midwest Airport (courtesy of Gary Bradfield). with several buildings on the northwest corner of the field. Tom Williams recalled, “I took my first airplane ride at this Airport on 1/3/46. I was 14 days old. showing several taildraggers next to a hangar. 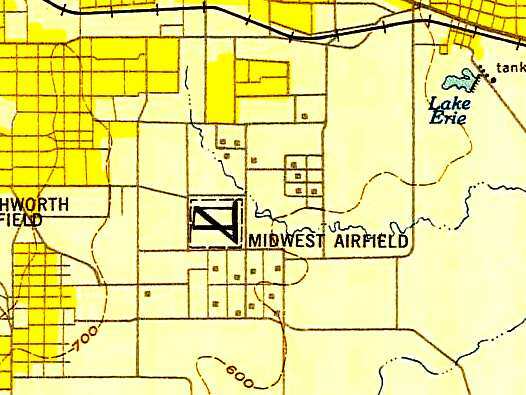 depicted Midwest Airfield as having a 2,600' unpaved runway. depicted “Midwest Airfield” as having 3 runways & several taxiways. 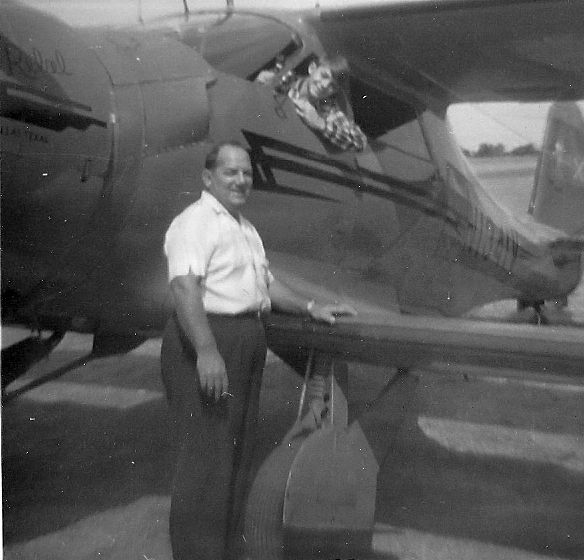 A 1948 photo of John Miller (when he was obtaining his private pilots license) in front of a Piper J2 Cub at Midwest Airport (courtesy of Mel Miller). 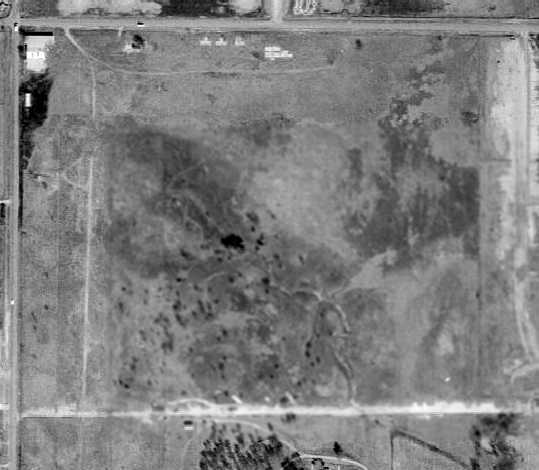 The last photo which has been located of Midwest Airport was a 4/1/52 USGS aerial view. with 3 single-engine aircraft parked near a hangar & dozens of T-hangars on the northwest corner. 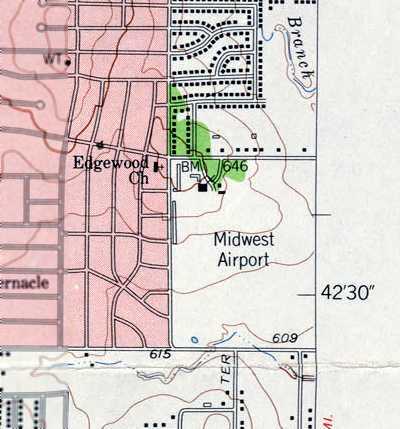 The 1954 USGS topo map depicted Midwest Airport. Ron Wortham recalled, “I was a kid of 12 in 1955 & I had a buddy who lived on Strong Street near what is now Berry Street in Poly. We were just 3 blocks from a little airfield at what is now the intersection of Berry & Miller. Ron continued, “Finally one day a fellow named Hap (Foster, I believe) came out & chased us off. He was nice about it but said the plane would be repaired. This must have been near the end of the life of the airport - soon the AT-6 was gone. and man the WWII salvage aircraft frames & pretend to be ace pilots. 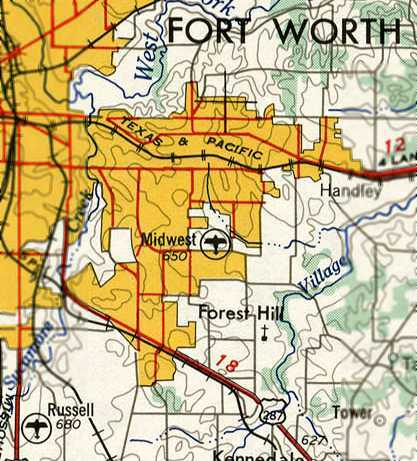 The last depiction which has been located of Midwest Airport was on the 1955 USGS topo map. with several small buildings along the northwest corner. 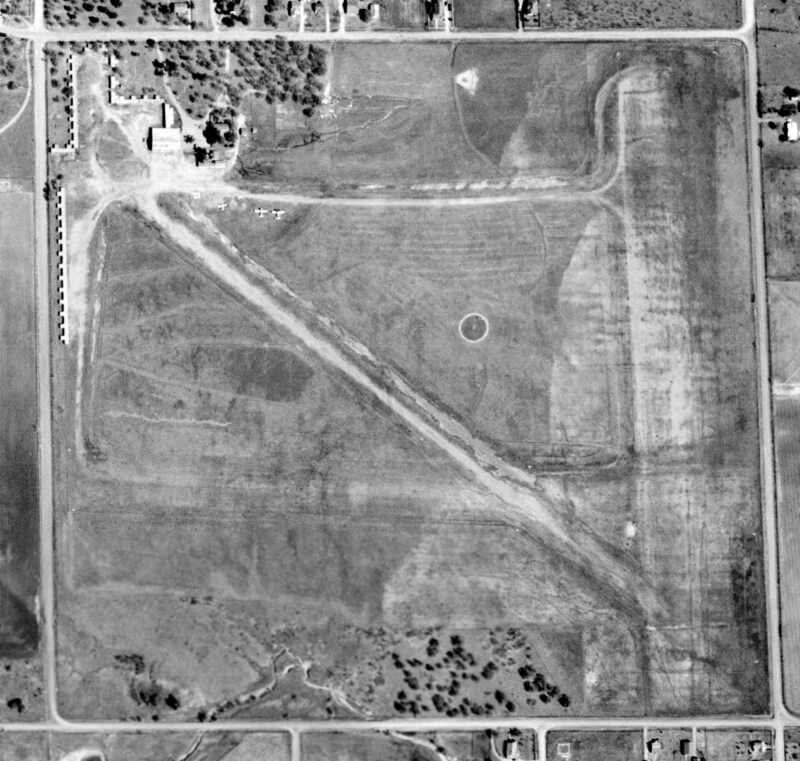 as a 1957 aerial photo showed houses beginning to cover the former airport property. even though the map inexplicably continued to label the site as “Midwest Airport”. A 2016 aerial view looking north showed the site of Midwest Airport has been covered by houses, with not a trace remaining of the little airport. The site of Midwest Airport is located southeast of the intersection of East Berry Street & South Edgewood Terrace. 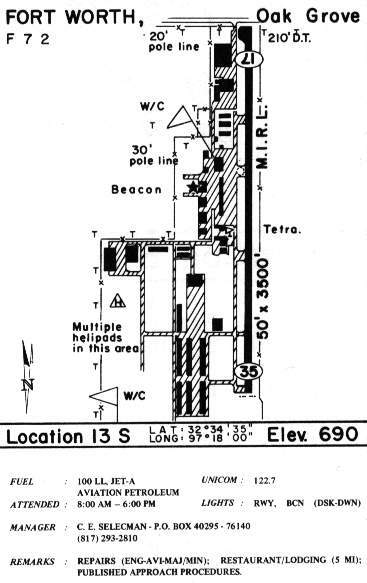 "Sky Ranch", as depicted on the March 1947 Dallas Sectional Chart (courtesy of Chris Kennedy). was on the March 1947 Dallas Sectional Chart (courtesy of Chris Kennedy). 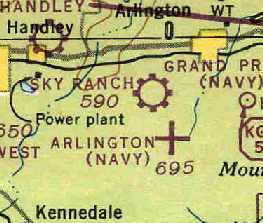 It depicted "Sky Ranch" as a municipal or commercial airfield. as that is how it was labeled on the 1948 USAF Target Complex Chart (courtesy of David Brooks). but it did not depict any runways or buildings. which depicted Lucas as having 3 unpaved runways. A total of 8 light aircraft were parked around a cluster of small hangars on the northwest side. with several hangars & planes visible in the background. 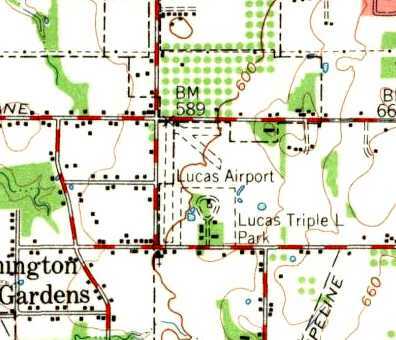 The 1959 USGS topo map depicted the Lucas Airport as having 3 unpaved runways. about a quarter mile or so from Lucas. and a bone yard out back that sheep kept mowed down. 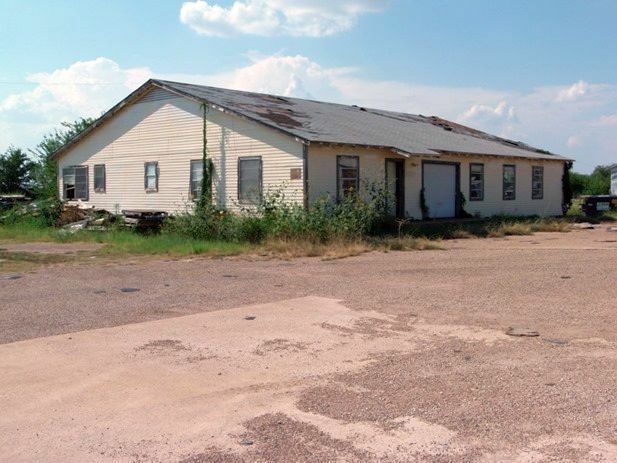 The shop itself was a large metal Quonset hut & later a smaller concrete block building was off to the side. 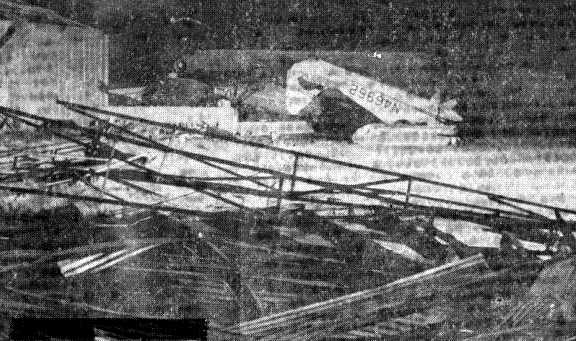 An early 1960s photo (courtesy of Joel Russell) of storm damage at Lucas Field, showing several inverted aircraft. 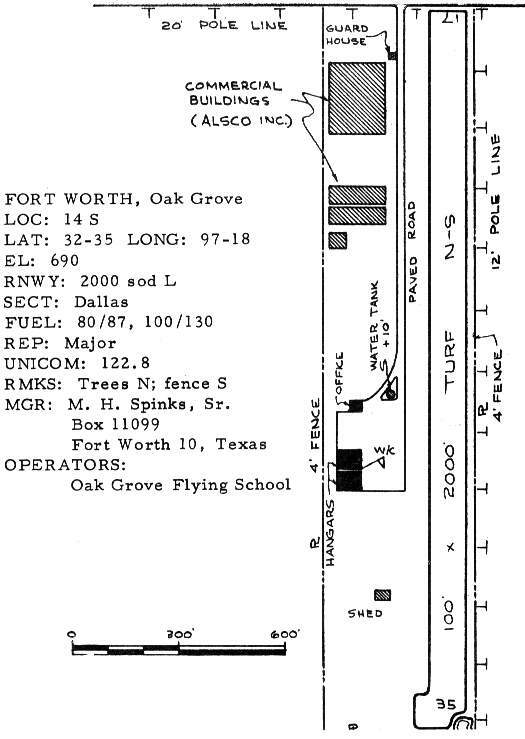 depicted Lucas Field as having 3 turf runways, with the longest being the 2,125' Runway 17/35. Six hangars & an office were located along the northern edge of the field. and the operator was listed as the Burnum Aviation Company, Inc. 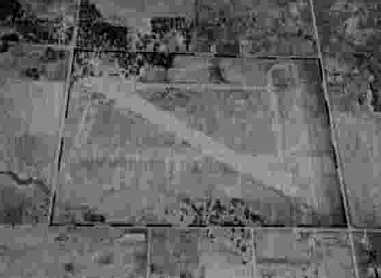 The last photo which has been located showing Lucas Field in operation was a 1963 aerial view. and there were 8 light aircraft visible on the field. 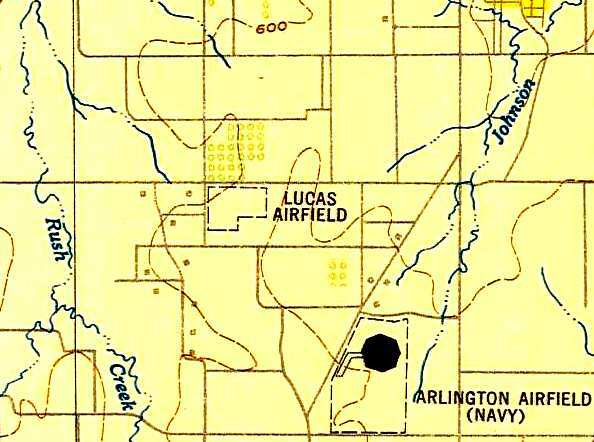 Lucas Field was depicted on the 1966 DFW Local Aeronautical Chart as a private airfield having a 2,100' unpaved runway. 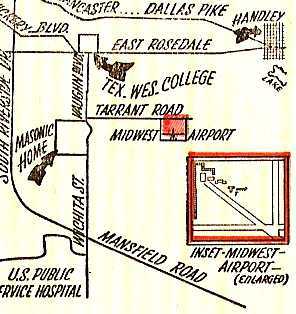 Lucas Field was evidently closed (for reasons unknown) at some point between 1966-67.
as it was no longer depicted in the 1967 TX Airport Directory (courtesy of Brad Stanford). David recalled, “Back in the late 1960s / early 1970s, as a child I played soccer in the Arlington Soccer Association. until the league grew too large and we needed new fields. that he [Pops Burnham] designed & built. 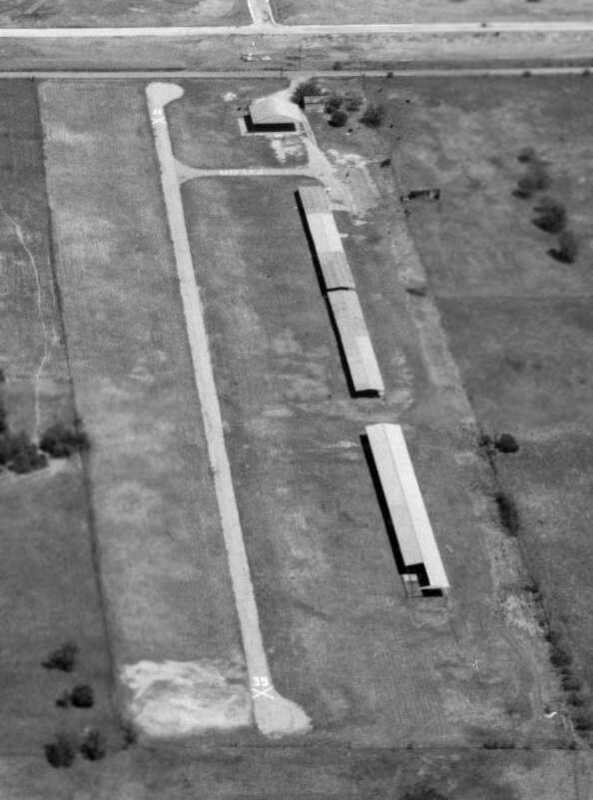 A 1970 aerial view still depicted several abandoned hangars on the northwest side of Lucas Field. The airfield area was still intact, but no runways were discernible. but it had most likely been closed for several years by that point. 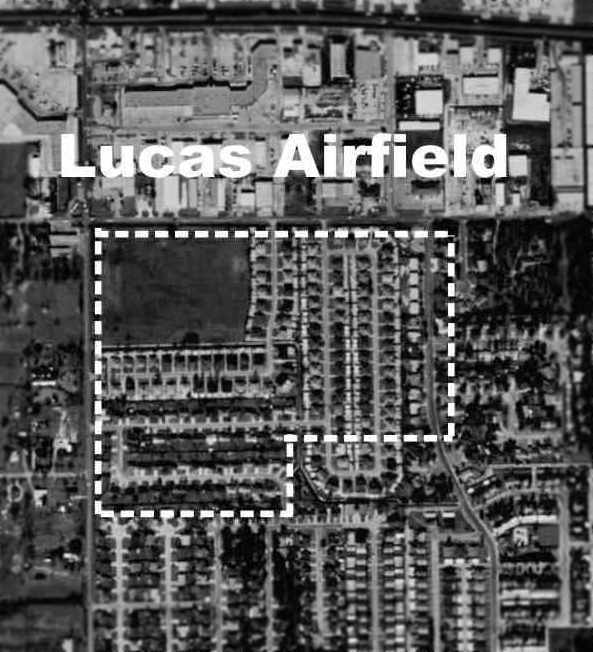 The location of Lucas Field, superimposed by David Brooks over the 1995 USGS aerial photo. and not a trace of the airfield appeared to remain. A 2016 aerial view looking north showed no trace remaining of Lucas Field. The site of Lucas Field is located southeast of the intersection of South Bowen Road & Arkansas Lane. 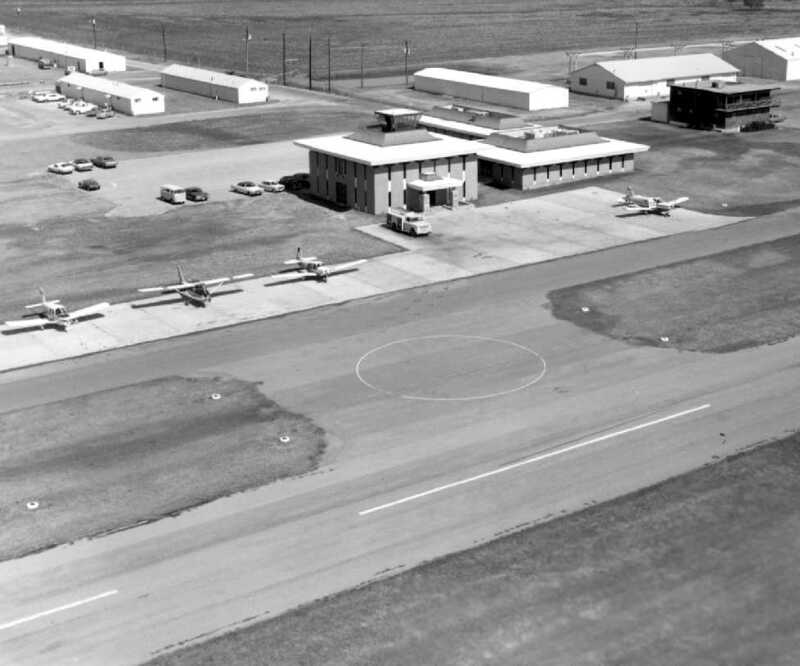 Oak Grove Airport, as depicted in the 1963 TX Airport Directory (courtesy of Steve Cruse). 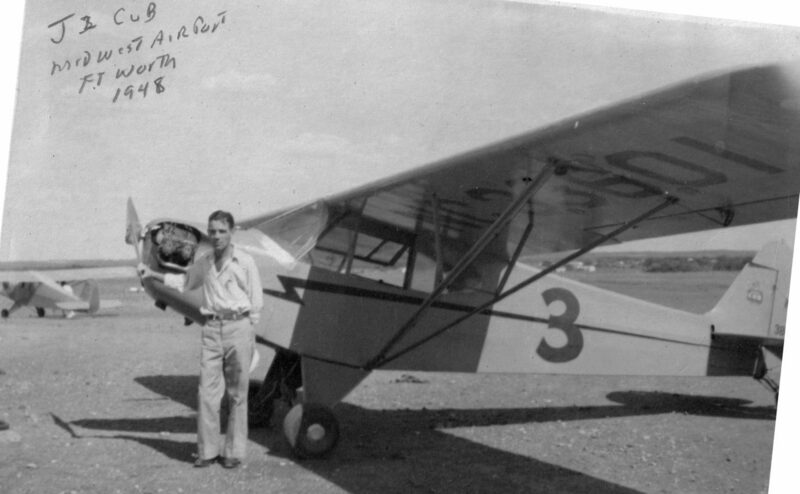 Oak Grove Airport was built & operated by aviation pioneer Maurice Hunter "Pappy" Spinks. He was a renowned aerobatic competitor & aviation manufacturer. 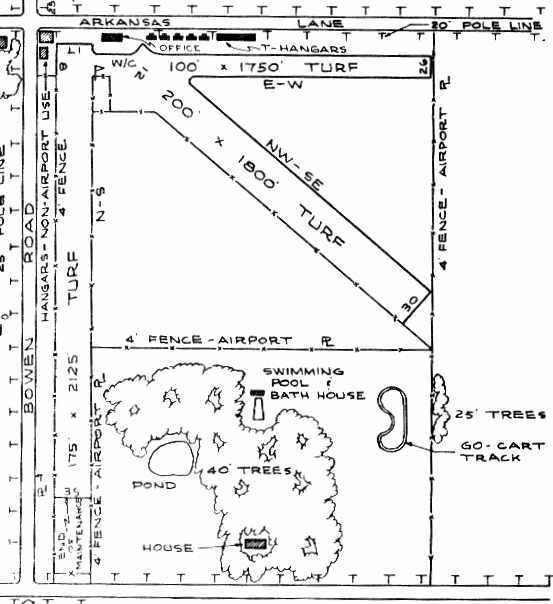 The devoted airman even lived in a house on the Oak Grove Airport property. Spinks was a patron of the Aerobatic Club of America. by manufacturing the skids for their Huey helicopters. 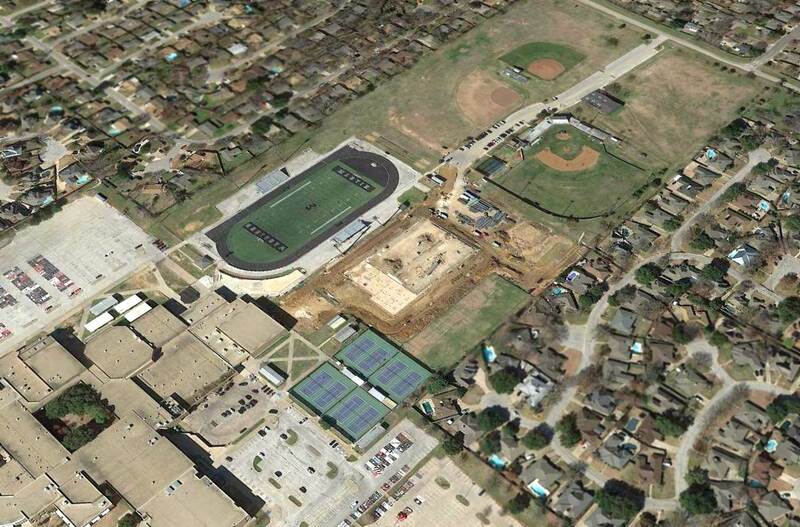 The precise date of construction of Oak Grove is unknown. 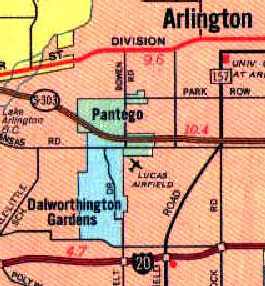 nor listed among active airfields in the 1962 AOPA Airport Directory. was in the 1963 TX Airport Directory (courtesy of Steve Cruse). It depicted the field as consisting of a single 2,000' turf Runway 17/35. The operator was listed as Oak Grove Flying School. along with several large buildings along the north side labeled "Commercial Buildings (ALSCO Inc.)". These were presumably the manufacturing facilities which produced the Huey helicopter skids. Note Oak Grove's dirt runway. with several hangars & 8 light aircraft on the west side of the field. An undated photo of N6810D, a rare 1965 Rawdon T1, serial #T1-36SD, modified into the Spinks Industries AR-31, at Oak Grove Airport. Bill Daley recalled, “I started work as an instructor at Oak Grove in June 1965. Jim Couch was the Chief Instructor when I started. He had replaced Al Pugsley a year or so earlier. Jim was a great pilot with a colorful & sometimes gruff personality earning him the title 'Eisen Arsch Couch' by some of our German students. The runway had already been paved when I got there; it was 2,900’ at that time. built (actually a nicely renovated surplus barracks moved on premises) around 1966. Pappy Spinks’ affiliation with Bell Helicopter brought in additional business for the rotorcraft flight school & charter operation run by Jim Hill. In addition, there was a second helo operation with Max Stone at the Highland Park Airport until its closure. 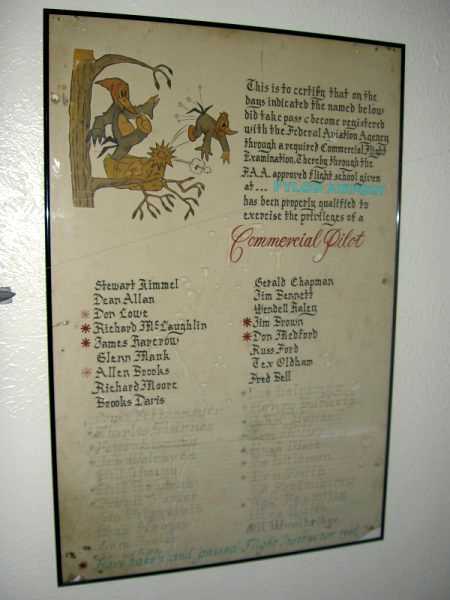 Bell sent many of their customer’s foreign pilots from around the world to Oak Grove for FAA certificates & additional ratings based on foreign equivalency. Bill continued, “Jim Couch left for a FAA GADO position in 1969. 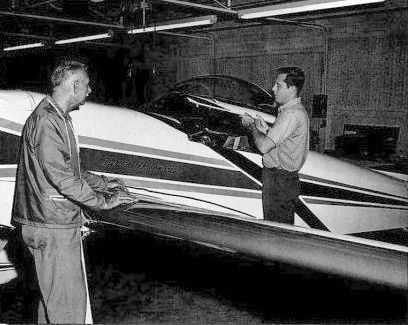 Bill continued, “About 1969 an aerobatic curriculum was started for which Pappy brought in Duane Cole with Bobby & Gene Bishop. Bill Daley recalled, “The Spinks Aircraft Industries [building was] built in 1968 specifically for the construction of the Spinks Acromaster. Hillard placed 3rd in it [the Spinks Acromaster] during 1970 World Aerobatic Championships. The Spinks Acromaster project lasted from 1967-70. I don't think the plane performed as well as they hoped. It was a collection of the best attributes from other proven aircraft put together with more operational than engineering expertise & with limited resources. It was more a passion of Pappy who had the money to bankroll it himself. Bill continued, “In 1969-70 Pappy built a great terminal & administrative building along with additional hangars (one dedicated to his collection). The flight school was moved to the 2nd floor of the terminal. Bill continued, “Pappy’s love of aviation had him graciously hosting the National Aerobatic Championships from 1967-71. These events brought out the giants of aerobatics & aviation from Poncho Barnes to Allen Bean - Charlie Hillard to Harold Krier. A 1969 photo by Bill Dailey of “aircraft arriving for Nationals” at Oak Grove Airport. 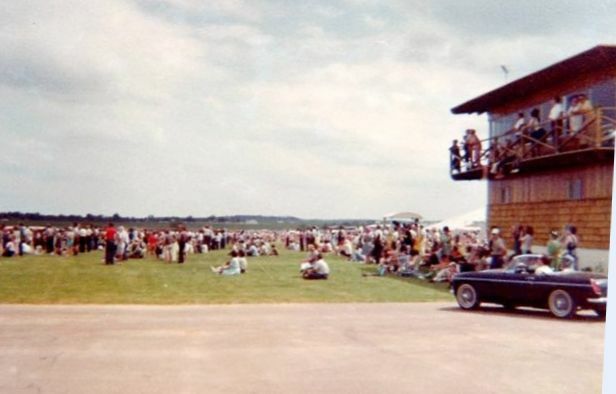 A 1969 photo by Bill Dailey of the “VIP viewing from original headquarters” at Oak Grove Airport. and a much larger number of hangars than was depicted on the 1963 diagram. 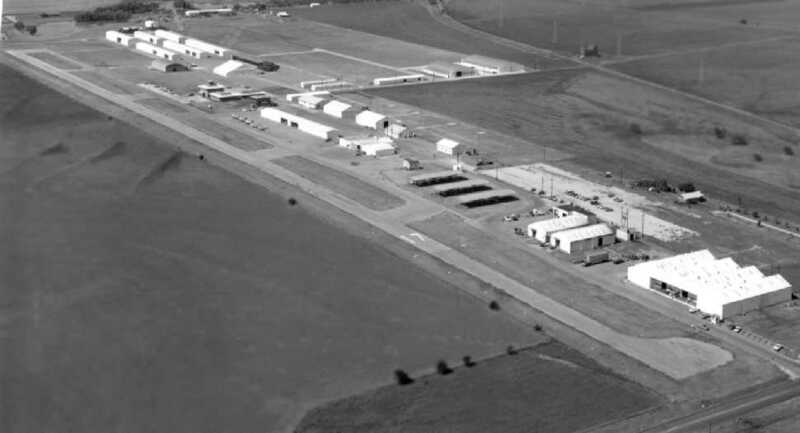 A 1970 aerial view depicted Oak Grove's new paved runway, and an amazing number of hangars. 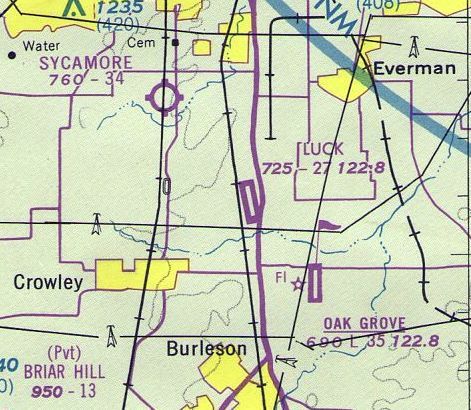 depicted Oak Grove as having a 3,050' asphalt Runway 17/35. showing several light aircraft in front of the terminal building. Note the control tower cab on top of the terminal building (although it doesn't appear as if this airport ever had a staffed tower). 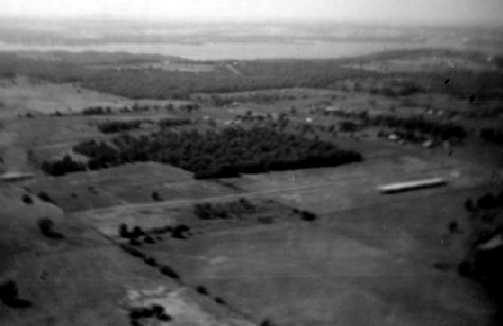 A 1971 aerial view looking southwest at Oak Grove Airport (courtesy of Jerrell Baley). 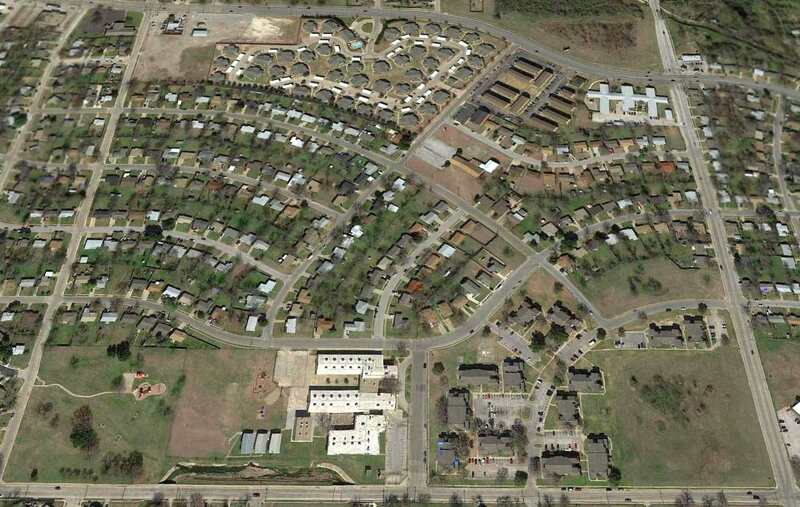 which depicted Oak Grove as having a 3,500' paved runway. the runway had been lengthened to 3,500'. 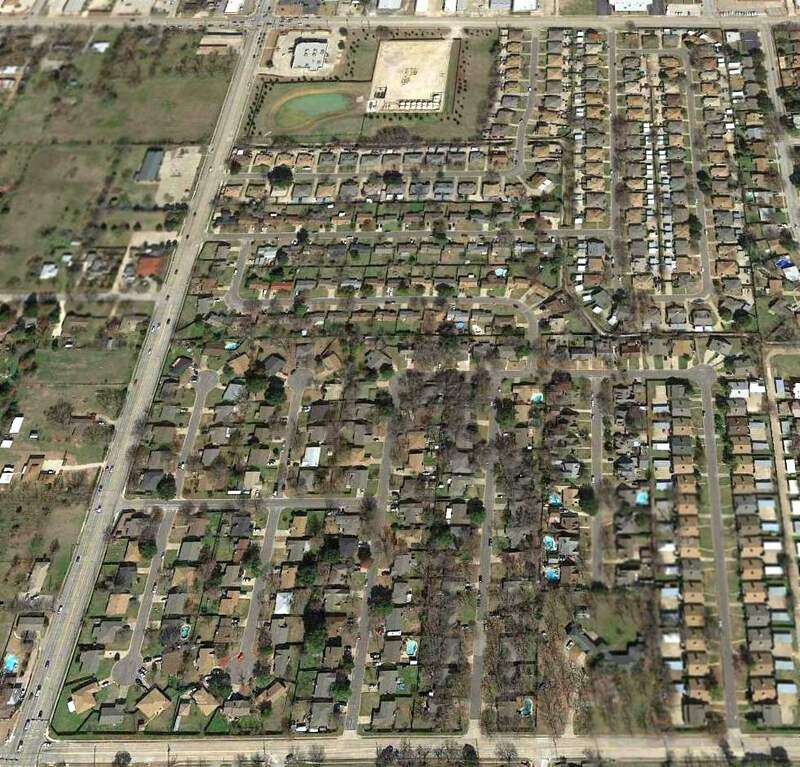 Forth Worth area private pilot Rich Wolf reported that "Oak Grove faded away after Pappy Spinks died." 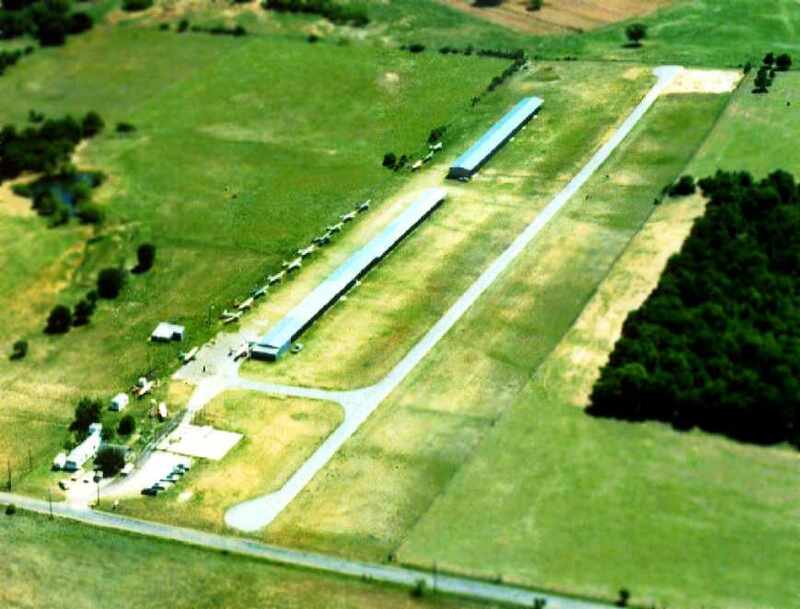 The last photo which has been located showing Oak Grove Airport still in operation was a 1979 aerial view. It depicted a very well-used airport, with dozens of light aircraft & an amazing number of hangars. Unfortunately, the fate of this airport was sealed by local politics in the late 1970s. as Sycamore Strip & Luck Field were situated within 5 miles to the northwest of Oak Grove. local government leaders decided that expanded general aviation facilities were needed. did they do the logical thing, by picking one of them to be expanded? 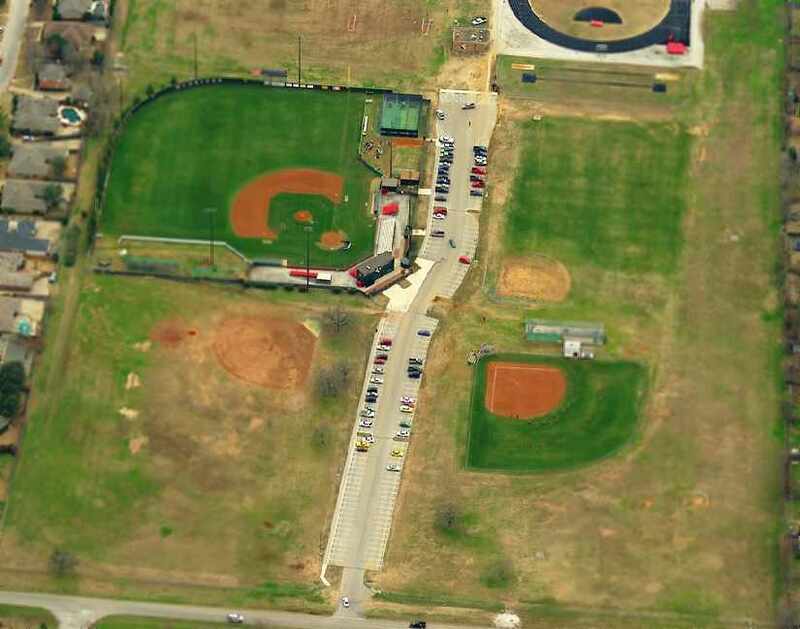 and close Oak Grove Airport & replace it with a newly-built field right next door, Spinks Airport. when far more "pork barrel" work can be expended at taxpayer expense by building something right next door from scratch! The property adjacent to Oak Grove to the west was chosen as the site for the new airport in 1981.
hangars had sprouted up all over the west side of the field, totaling over 25 hangars. The manager was listed as C.E. Selecman. which presumably were used by Bell Hueys in conjunction with the skid manufacturing operations on the field. sitting in front of the Oak Grove terminal during the 1986 Fort Worth International Airfest at Oak Grove Airport. 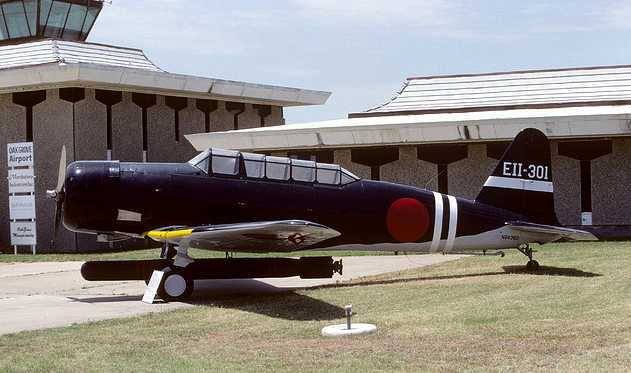 A 10/18/86 photo of N9462Z, a North American TB-25N, serial #44-30535, at Oak Grove Airport during the 1986 Fort Worth Airfest. at the 1986 Fort Worth International AirFest at Oak Grove Airport. Spinks Airport was constructed adjacent to Oak Grove to the west in 1988. At least the history of the site was acknowledged by naming the new airport after "Pappy" Spinks. in front of Oak Grove's larger hangar directly north of the radar dome. Ken Morris recalled, “Saturday 5/27/89 at the crack of dawn, we took off in our Bonanza from Oak Grove Airport for a 3-day get-away. Sunday 28, a ceremony was held closing Oak Grove & activating Spinks Airport. Brian Goad recalled, “There was activity on part of the old side at least until about mid 1989, not the runway, though. I know because I was in the Civil Air Patrol & one of their planes was based there, and we used the new runway at Spinks. An 8/02 aerial view by Paul Freeman looking southeast at the former Oak Grove Airport. Thanks to Charlie McClure for the flight. 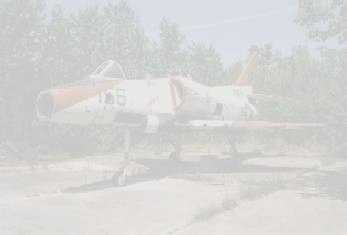 Paul Freeman visited the site of Oak Grove Airport in 2002, and flew over it as well. with a 3,500' concrete runway & a large number of hangars. Yet this airport sits abandoned, wasting away. sits behind a barbed wire fence, with vines obscuring almost the entire front wall. 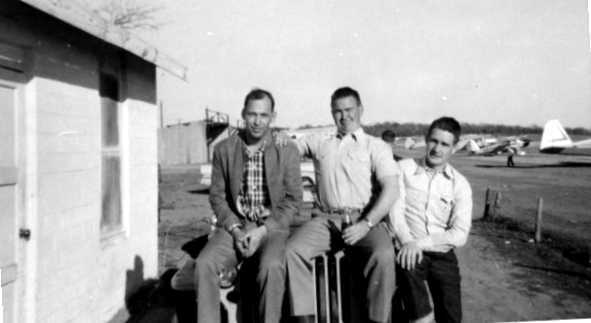 What was apparently the home of Pappy Spinks also still stands. and are being reused by some business. The concrete runway still exists, in very good condition. Portions of the runway are used to store trailer homes. (a taxiway connects them to the Spinks runway). are separated from Spinks by a high fence. that all of that aviation infrastructure was already there. An 8/02 photo by Paul Freeman looking north along Oak Grove's closed Runway 35.
with the wind tetrahedron still standing in front. 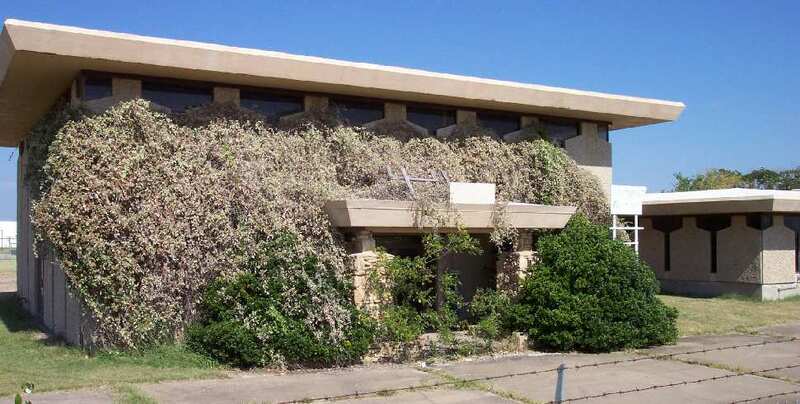 An 8/02 photo by Paul Freeman of the elegant former terminal buildings at Oak Grove Airport, now fenced off & overgrown. 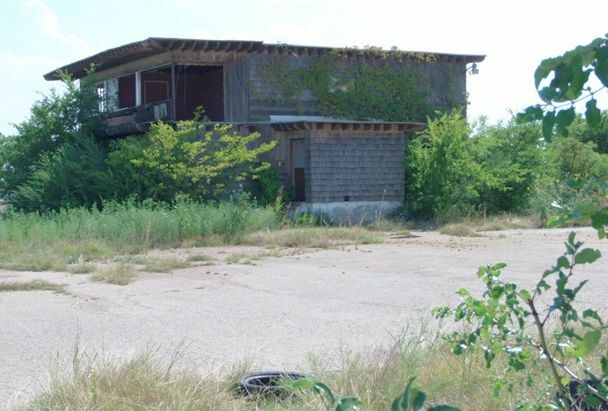 The control tower cab on top of the building was evidently removed at some point between 1971-2002.
where Huey helicopter skids were built, at the north end of Oak Grove Airport. with the former runway in the foreground, covered by trailers. Charles Trotter recalled, “I was the one that had all those road trailers stored on the runway. At one point we had over 330 trailers on the runways. and he said a crazy friend of his named Pappy had a closed airport where they would do business & was out of the way. There was a family that lived in a mobile home near the entrance who we rented the runway from. There seemed to be a family with children living in a house on site too. 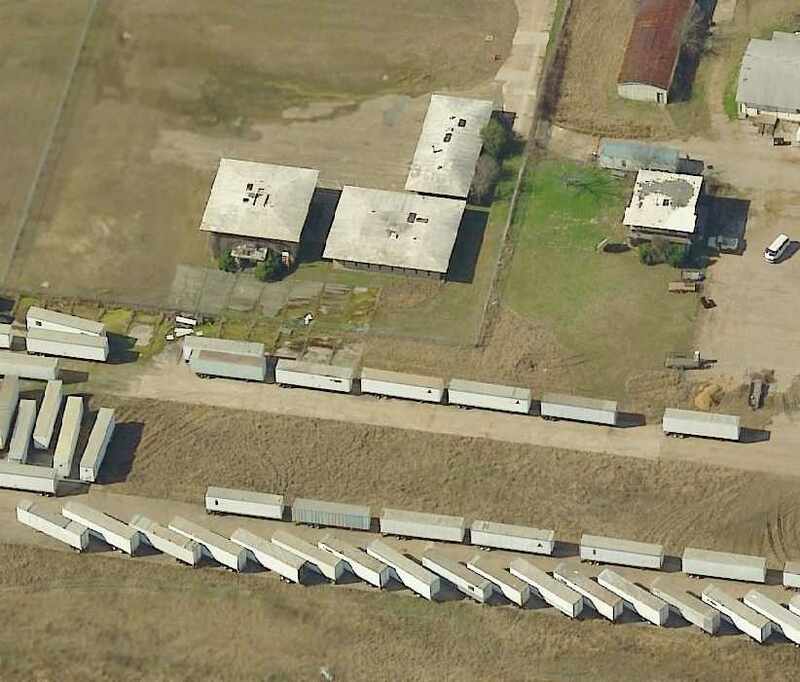 I was thankful to get the cheap rent to store the trailers, from 2002-2007.
in a sad state compared to its 1969 photo. An August 2013 photo by Bill Dailey of Oak Grove Airport's Spinks Aircraft Industries building. 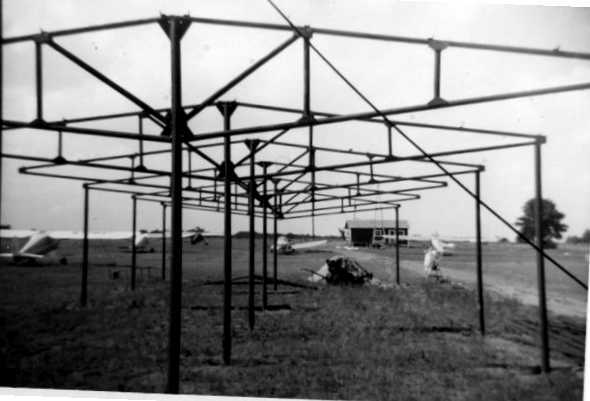 Oak Grove Airport is located south of East Rendon Crowley Road, a half mile east of Interstate 35.
looking north through Pylon Field's first hangar (under construction), with several aircraft & the office in the background. No airfield was yet depicted at this location on a 1958 aerial photo. According to Troy Whistman, “The airfield was built in 1960. Sid Fisher, and another instructor, Tom Russell, were instructing at nearby Lucas Field. According to Joel Russell, “John Stone... made the first landing at Pylon. 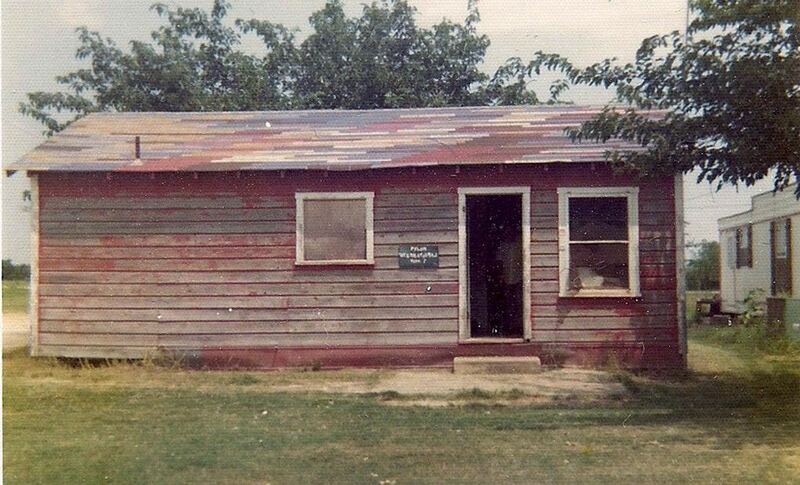 According to my Mom Betty, the office building was a 20' x 30' wood frame house that Dad had built. When the airport began & needed an office, they had it moved by truck & set up. showing the field having a single runway with a single long hangar. Joel Russell recalled of Pylon Field, “I was pretty well raised at the airport the first 7 years of my life. and tell you what kind, and who the each plane belonged to. My Dad [Tom Russell] was partners with Sid Fisher, so access was unlimited. There was always someone there that I could hitch a ride with to go around the patch. but for reasons unknown to me at this time, that didn’t happen. 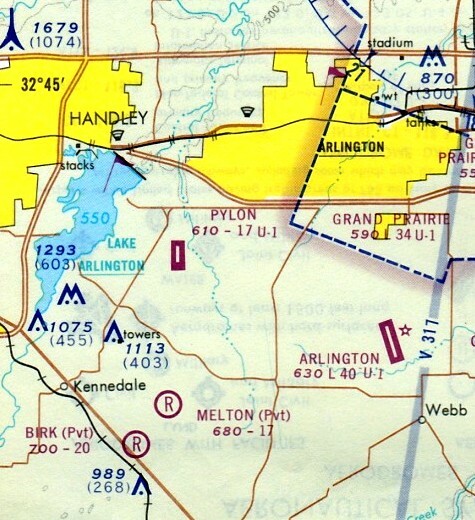 The 1962 AOPA Airport Directory described Pylon Field as having a single 1,800' turf Runway 17/35. According to Troy Whistman, “Tom sold his interest in 1962 & went on to crop dusting. A circa 1962 photo of the the Pylon Field office, a Globe Swift, and a Cessna (courtesy of Joel Russell). A 1963 photo at Pylon Field of Joel Russell, “a local Pylonite”, a plane on final, the office, and several other planes (courtesy of Joel Russell). with a long hangars & a dozen single-engine aircraft on the northeast side of the field. and an office on the northeast side, along West Mayfield Drive. The manager was listed as Sid Fisher. with a long hangar & 8 single-engine aircraft on the east side of the field. 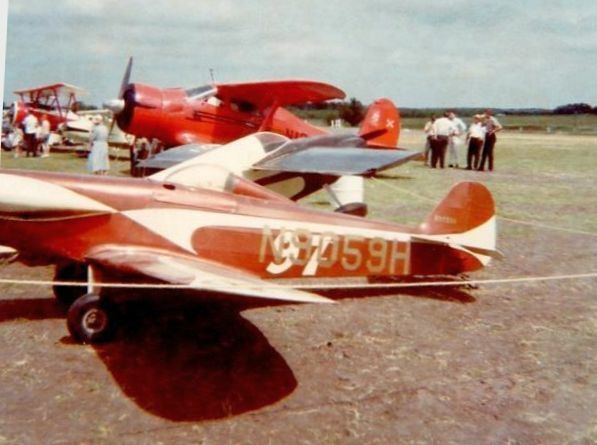 A 1964 photo of George & Gary Tregre with a Beech D-17 Staggerwing “Rebel” at Pylon Field (courtesy of Joel Russell). A 1965 aerial view looking southwest showing a healthy number of planes at Pylon Field, and the 2nd set of shorter hangars (left) attached to the original hangars (courtesy of Joel Russell). 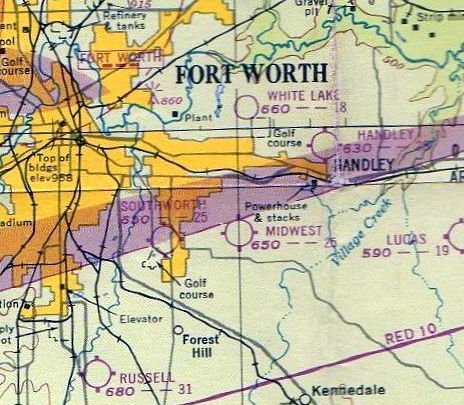 Pylon Field, as depicted on a 1965 Enco Oil DFW road map. 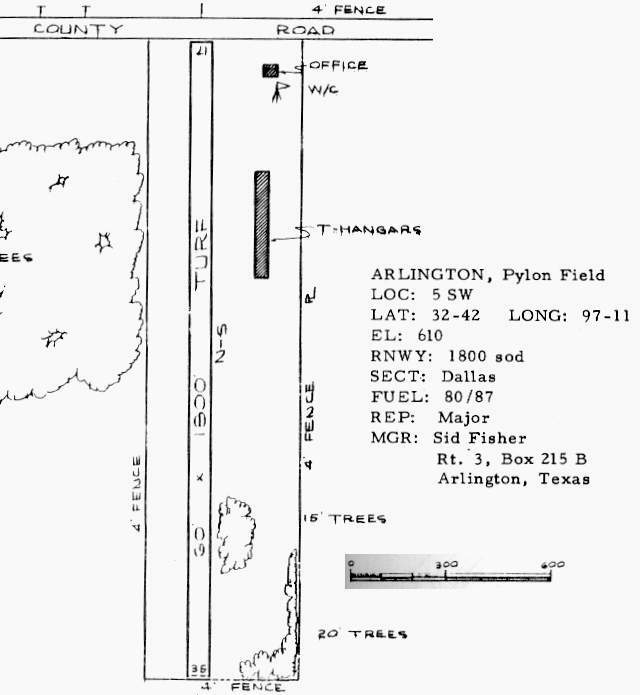 Pylon Field was described in basically the same manner on the 1965 Dallas Sectional Chart (courtesy of John Voss). 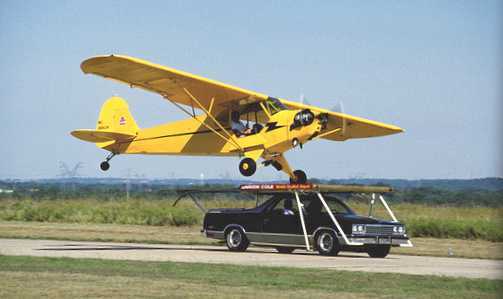 then rebuilt it in our garage in the Poly area of Ft. Worth as a Clip-Wing Cub. then towed to Lucas for the first flight it made to Pylon. At that time it was silver with with a red lightning bolt on the side. Dad had drawings that he had made similar to Charlie Hillard's cub with a red, white and blue sunburst. That paint never got applied. On 12/20/65 he picked me up from school to go to the airport to do some flying. He was going to practice on his aerobatics, and return to take me up afterwards. in front of myself, Brady 'Old Man' York and Marvin Dotson. the carbureted engine sputtered & the plane began to drop like a rock. I believe he tried to snap roll to the left, but the plane impacted on the nose & right wing. I remember the sound… like someone dropping a dumpster in a parking lot. The plane came to rest in show center standing on the nose, facing south. He was killed on impact. with 2 rows of hangars along the east side. listing people who received their Commercial tickets at Pylon Airport. with several long hangars & a dozen single-engine aircraft on the east side of the field. 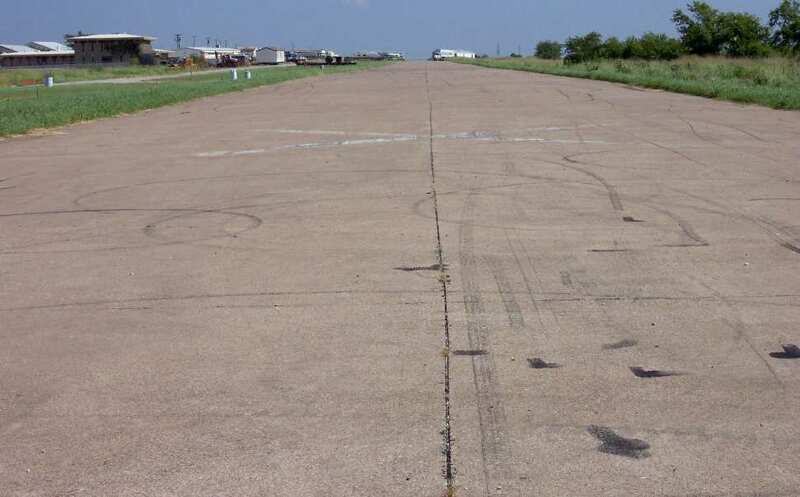 The runway at Pylon Field had been paved by the time of the 1970 TX Airport Directory (courtesy of Ray Brindle). along with a paved taxiway east of the runway led to 2 rows of t-hangars. 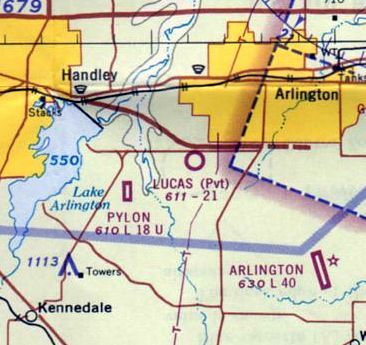 depicted Pylon Field as having a 1,700' paved north/south runway. An early 1970s aerial view looking southeast at Pylon Field (courtesy of Sid Fisher, via Troy Whistman). Troy observed the photo was “before the big hangar was built. Joel Russell observed, “To the far left is a small metal building. This was in place when the airport property was bought. 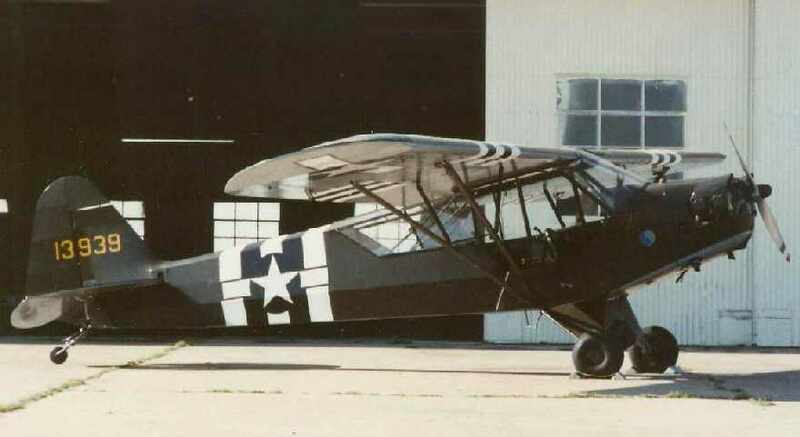 Even though it was not located ON the airport site it was used by Dad [Tom Russell] to park his Luscombe at the beginning. The trailer home next to the office is where Sid & his family lived until they built a new home several miles east of the airport. at Southwest Executive Air Flight School during the early 1970s. told me we were going to fly over to Pylon for some short-field landings. Me, being a naive youth of 25 years, wide-eyed & innocent, full of bravado, did not know what I was in for. Charles continued, “As we crossed over Pylon my instructor pointed to the runway. All I saw was a gray smudge running north to south with a very long awning along the east side. Charles continued, “I think I must have aged 5 years as I turned from base leg to final. As I neared the north end of the runway I noticed that there were power lines adjacent to the north end of the runway. so as to clear the north end of the touch-down area. Charles continued, “Just before my landing, I spotted Sid Fisher standing in the door of the 'shack'. we taxied down the sod next to the runway & shut down by the shack. Mr. Fisher chuckled & offered the opinion that he thought he was going to have to shoot a wing off to get me on the ground at Pylon. I considered Pylon Airport a personal challenge and a way to refine my skills at short field & spot landing. 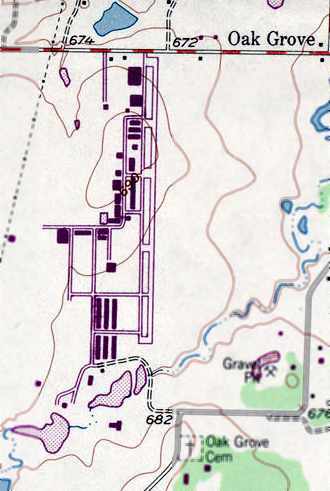 Pylon Field was still depicted on the 1973 USGS topo map. 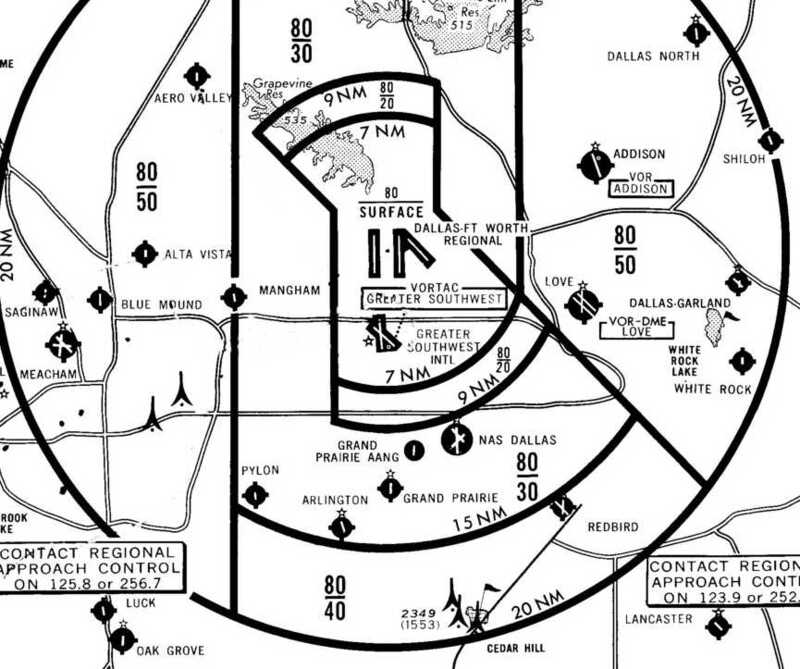 Pylon Field, as depicted on a 1973 DFW Terminal Control Area Chart (courtesy of Fred Fischer). A circa mid-1970s photo of the “Pylon International Office” (courtesy of Joel Russell). According to Troy Whistman, “The school district purchased the property in 1973 & gave them 2 years of usage. Sid says that the last person to solo at the field was Roger Dellinger. A 1976 photo Curt Fisher in front of a Bonaza - the last plane out of Pylon Field (courtesy of Joel Russell). The last photo which has been located of Pylon Field was a 3/27/76 aerial view looking northeast (courtesy of Jerrell Baley). 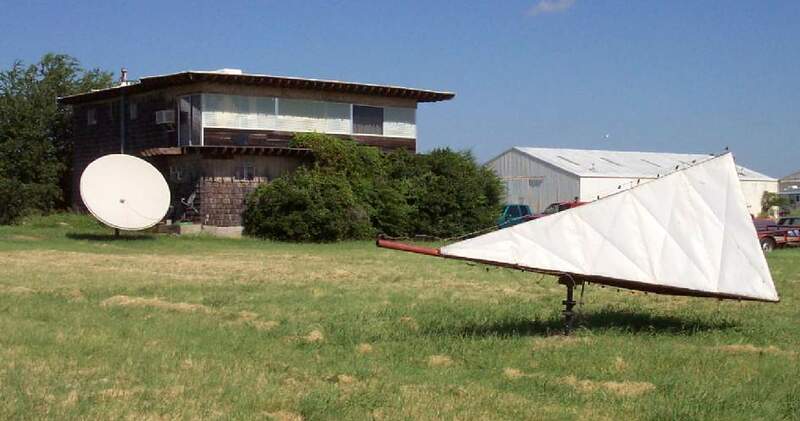 but no aircraft were visible on the property. 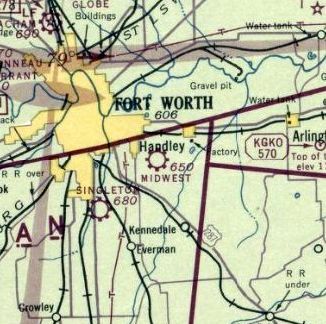 on the July 1976 DFW Local Chart (courtesy of Jim Hackman). with Martin High School visible in the background. A circa 2002-2005 aerial view looking south at the site of Pylon Field. “is still there although looking every bit of its 50 hard years old. planned by Joel Russell, son of Pylon Field's founder. 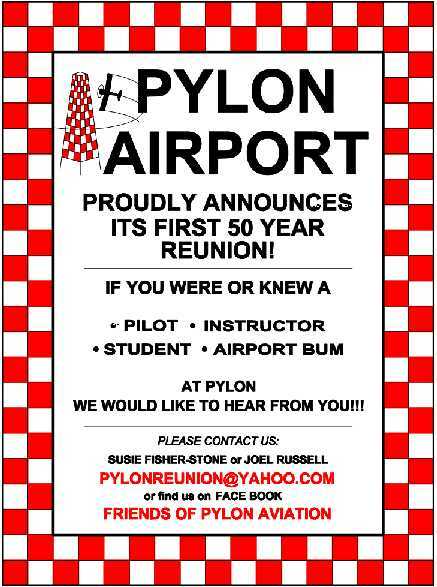 Joel reported, “I am trying to get people together who were associated with Pylon for a reunion. We have decided to make this a go for June 22. It will be hosted at the Grand Prairie Airport terminal. A 2016 aerial view looking northwest at the site of Pylon Field. According to Joel Russell, “The runway would align very close to the west side of the running track. 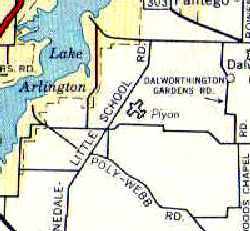 The site of Pylon Field is located southeast of the intersection of West Mayfield Road & French Wood Drive.